Editor's note: Twenty thousand educators from around the world will share ideas, tips, and trends for the upcoming year when they gather at ISTE, one of the largest education technology conferences in the world. If you’ll be in Philadelphia, come visit us in the Expo Hall at #1808. You can learn more about the new Training Center and check out any of over 50 short sessions that will share more ways to engage and inspire students. Technology can transform education, but only when it enables and supports amazing educators. Effective professional development is thus a crucial part of creating real positive change and preparing students for the future. For this reason, we’re proud to introduce the new Google for Education Training Center, a free, interactive, online platform that helps educators apply Google’s tools in the classroom and beyond. Professional development has long been a challenge for educators and administrators. 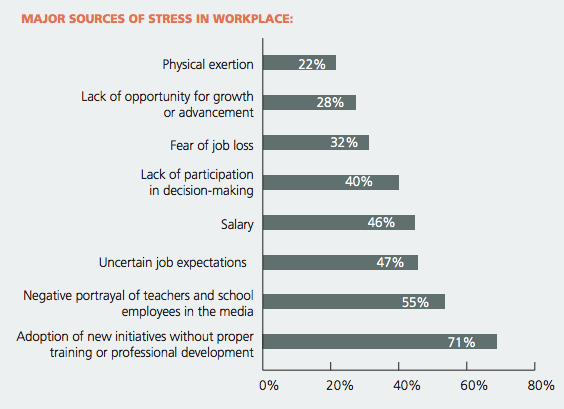 A 2015 survey by the American Federation of Teachers found that the "adoption of new initiatives without proper training or professional development" was the primary reason for workplace stress, with 71% of respondents citing it. This is why we worked closely alongside educators to design professional development tools that fit the needs of their peers. Educators can access different units and lessons in any order they prefer. After completing either the fundamentals or advanced course, educators can then distinguish themselves as Google Certified Educators, Level 1 or Level 2. Chicago Public Schools (CPS), the third largest school district in the United States with more than 600 schools and 400,000 students, worked with Google for Education as a launch partner for the new Training Center. CPS will use the Training Center as an integral part of its technology professional development program, and teachers’ time spent on Training Center courses will count toward their professional development hours. To learn more about the Training Center, visit g.co/edutrainingcenter and try out a lesson or two.